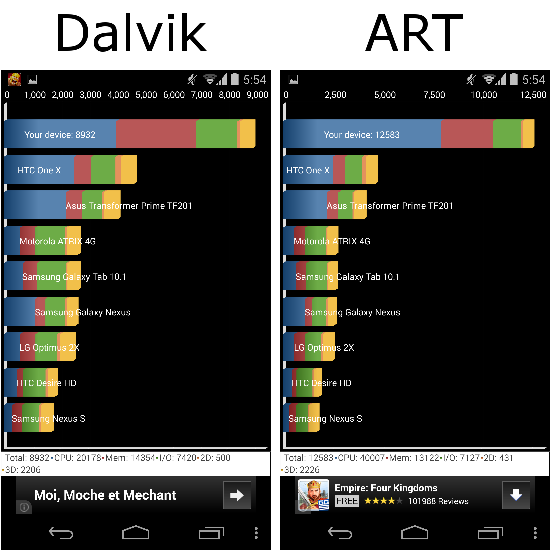 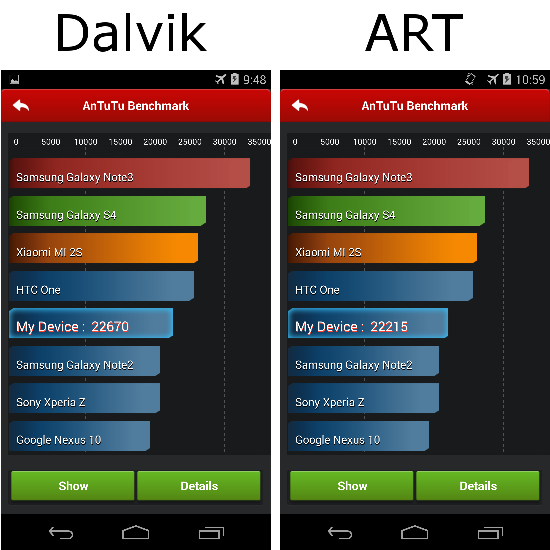 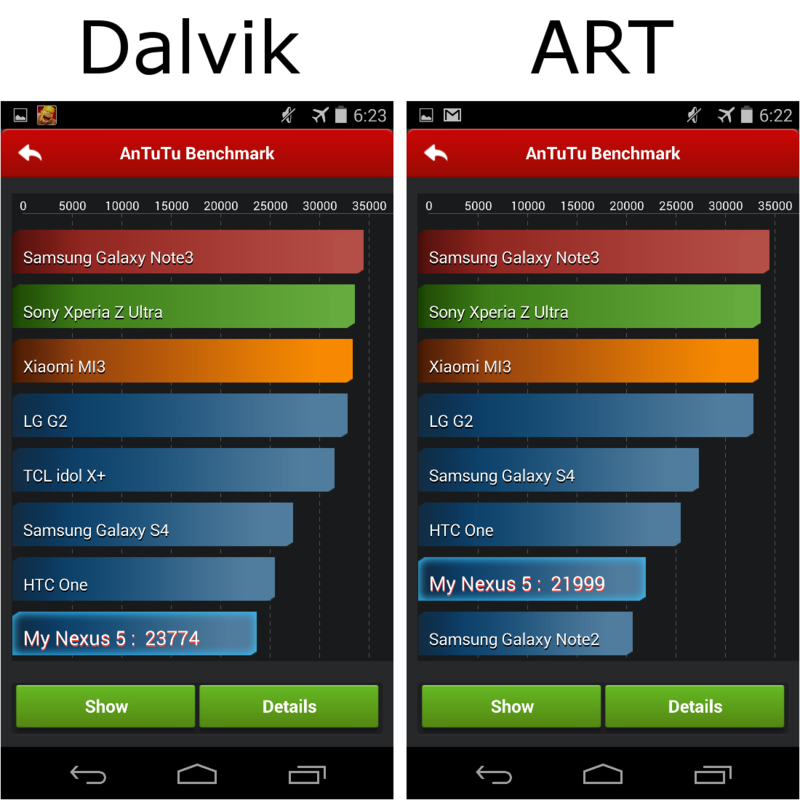 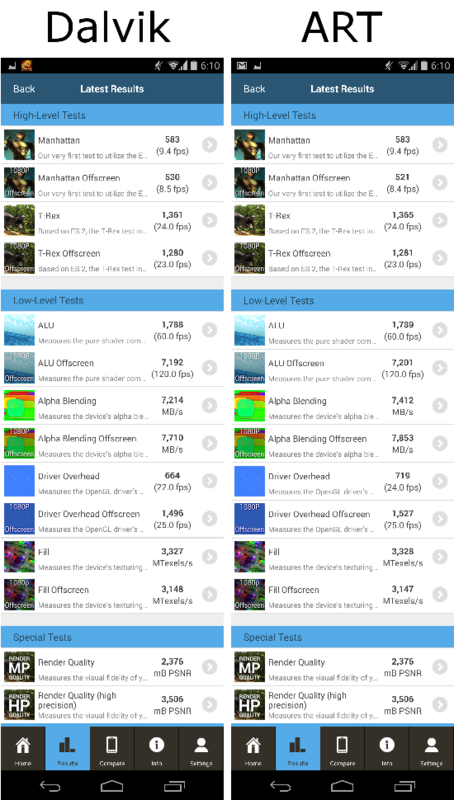 In my other article, I showed results of running benchmarks on a Nexus 5 with both Dalvik and ART runtimes. 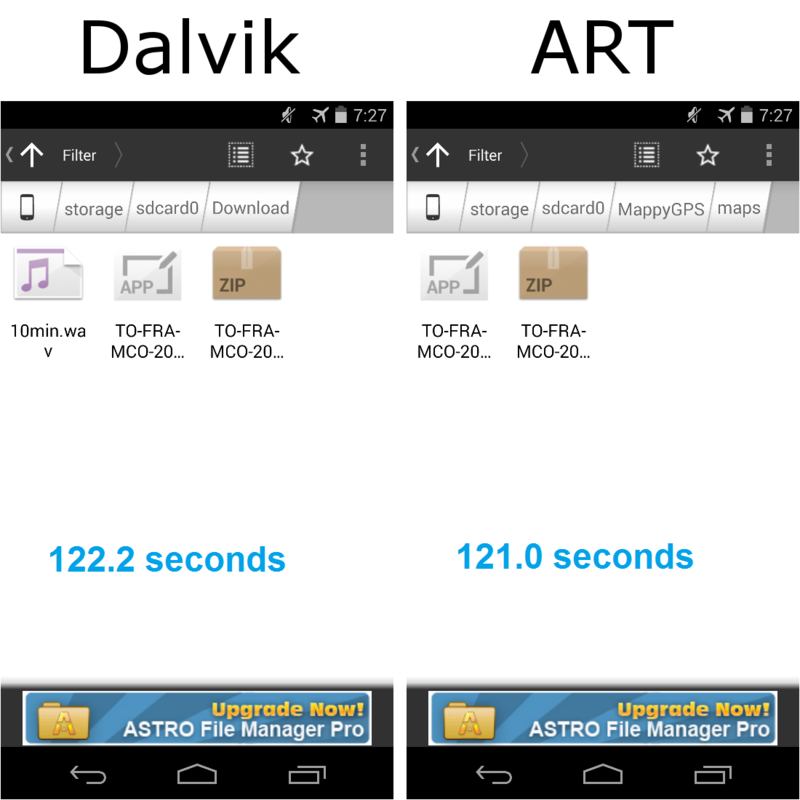 Currently, some apps run faster on one or the other runtimes, and many run at about the same speed. 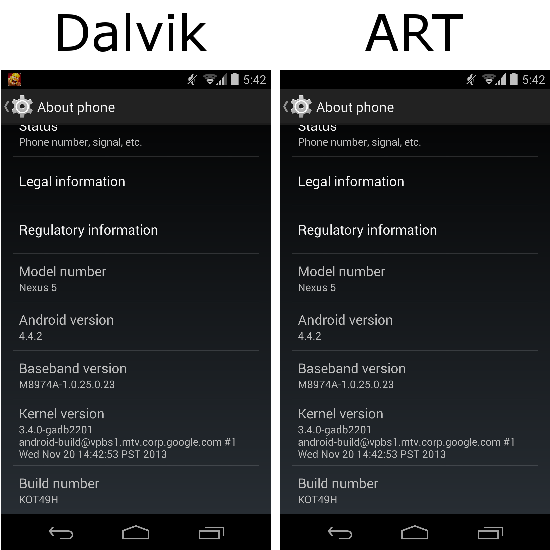 However, when you switch from one runtime to the other, each time there’s a message that Android is “Upgrading”. 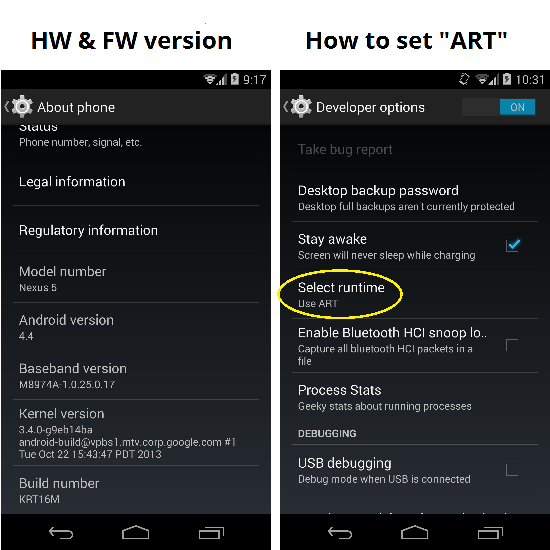 Shouldn’t one of them be “Downgrading”? Either runtime works fine, although ART has some problems running some apps. 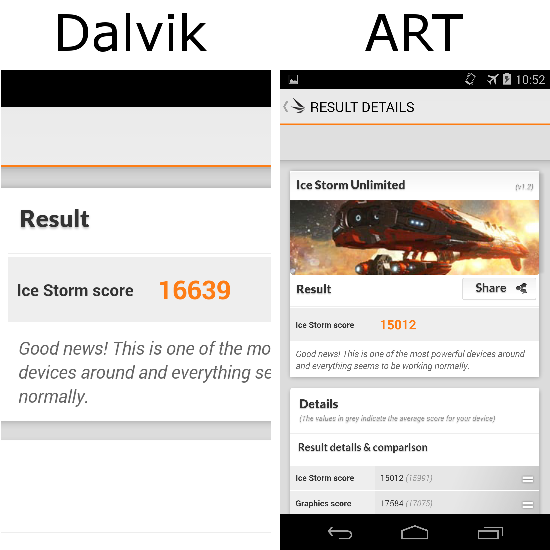 Google will fix all of these little problems before releasing ART to the general public. 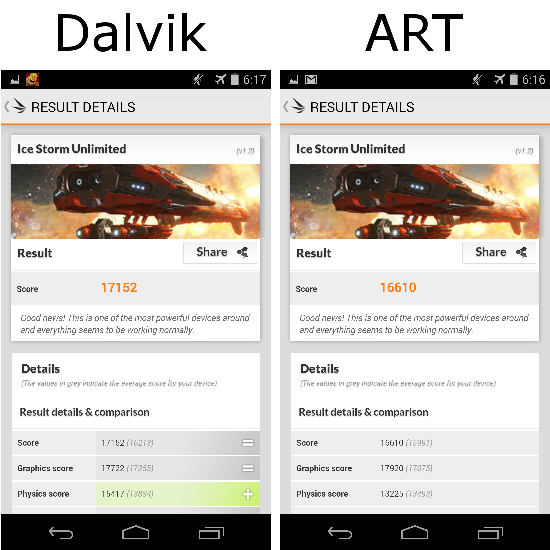 For now, ART is for developers. 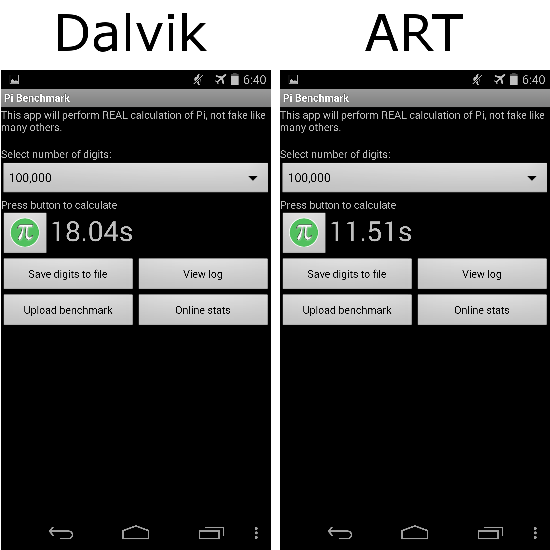 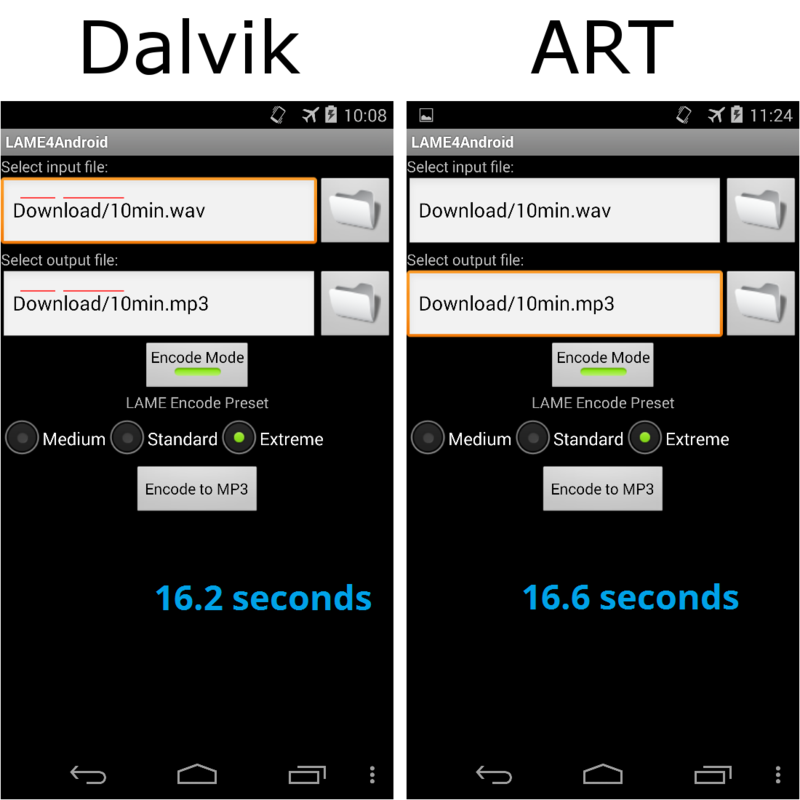 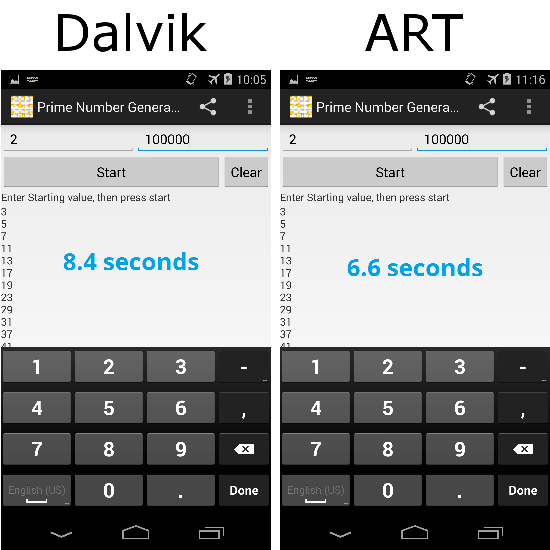 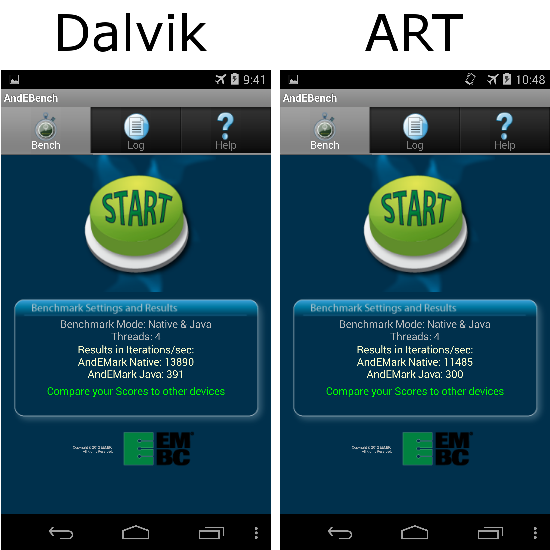 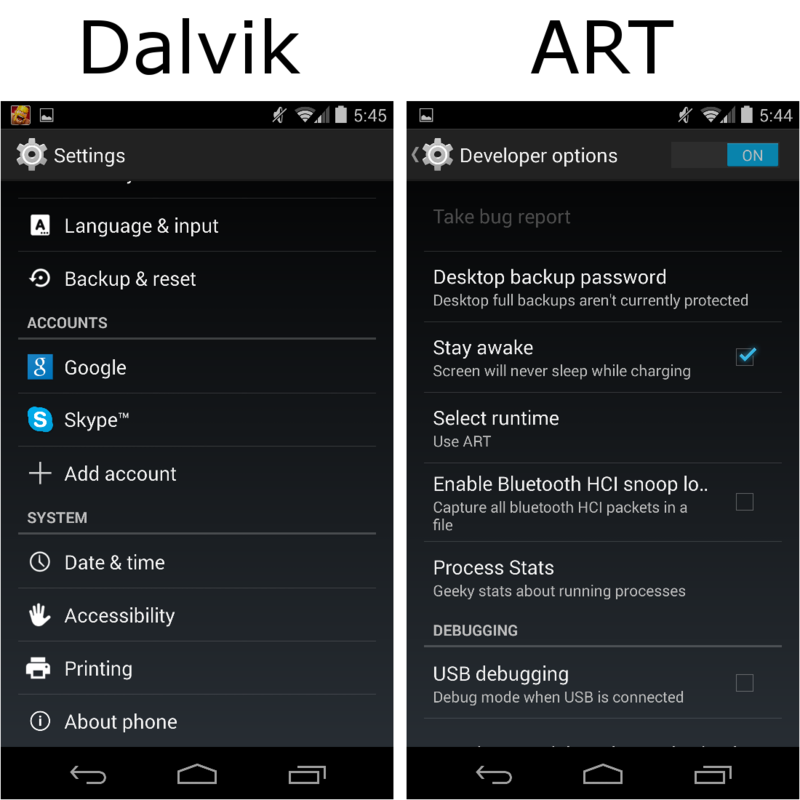 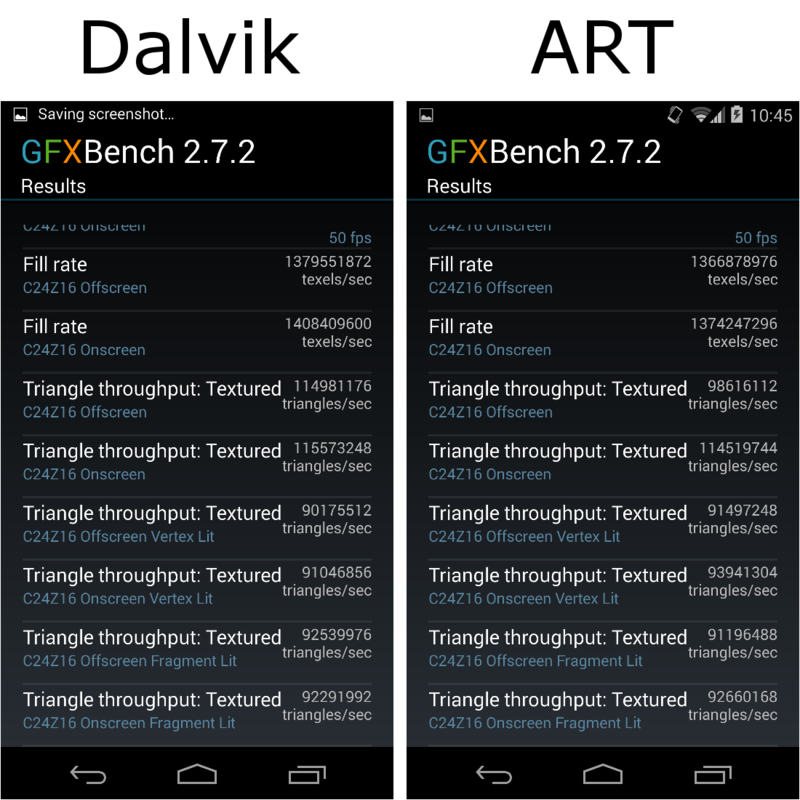 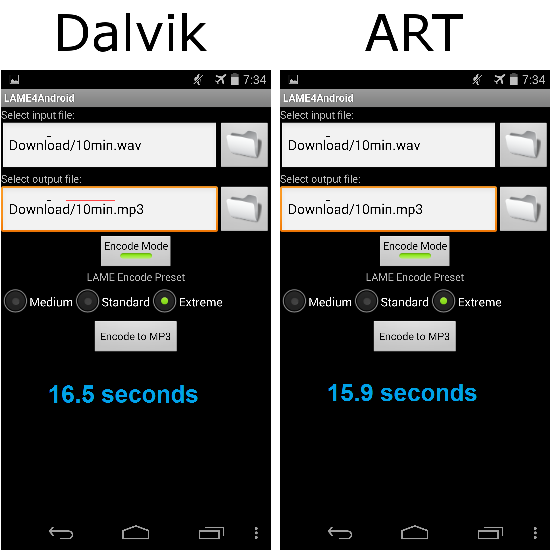 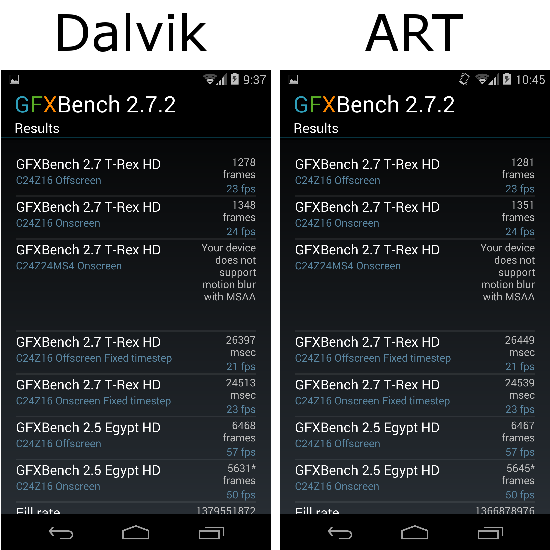 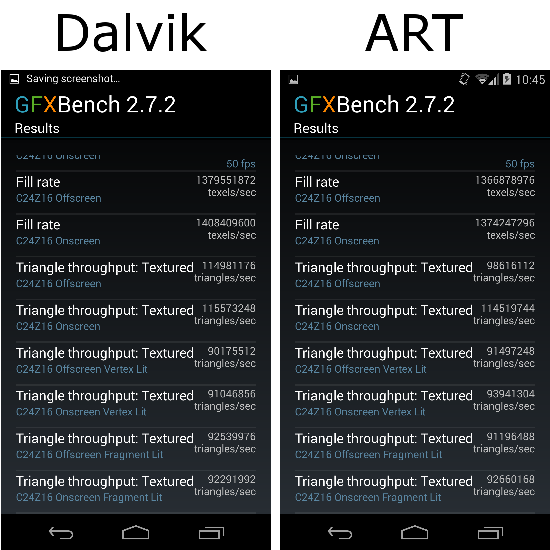 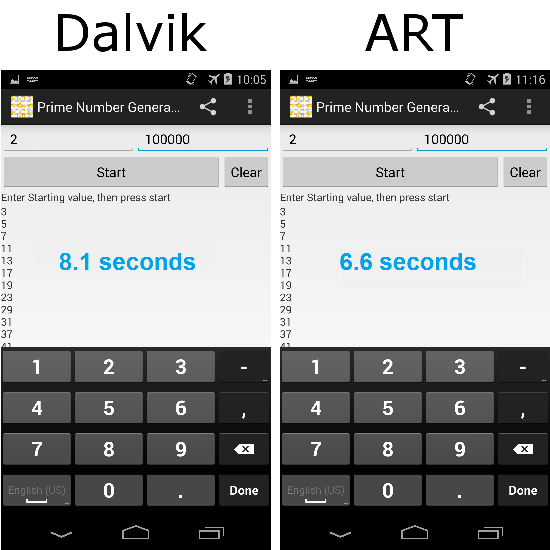 How long does it take to upgrade from Dalvik to ART? 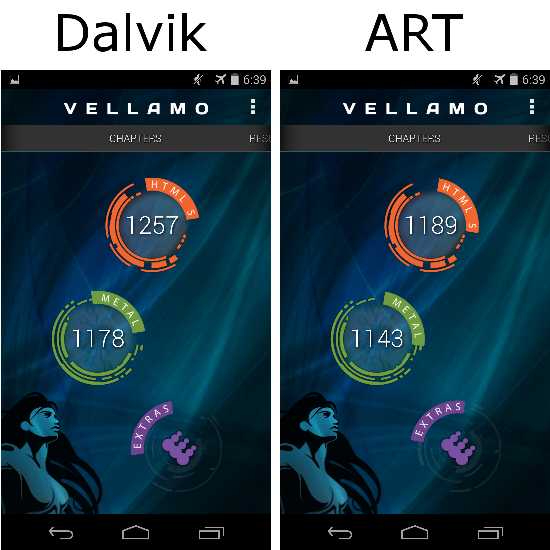 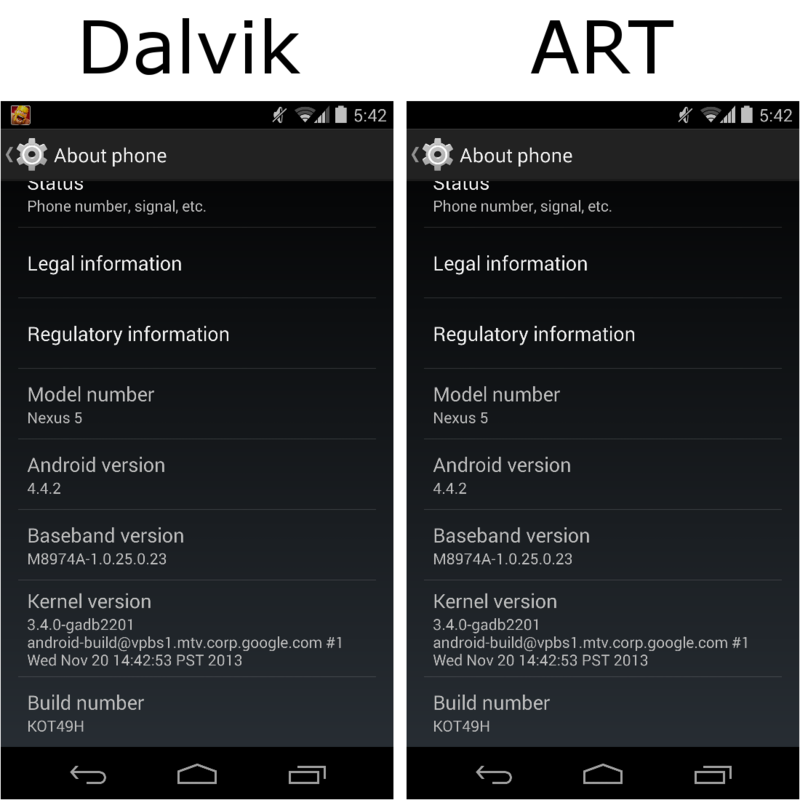 How long does it take to upgrade from ART to Dalvik? 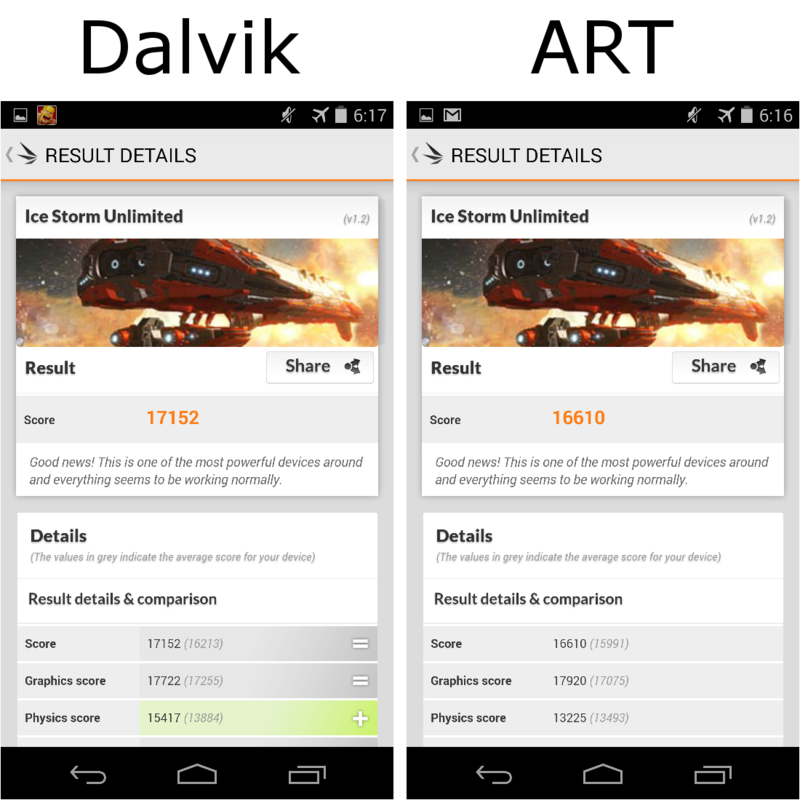 After running my comparison benchmarks, I had planned to stay with the ART runtime. 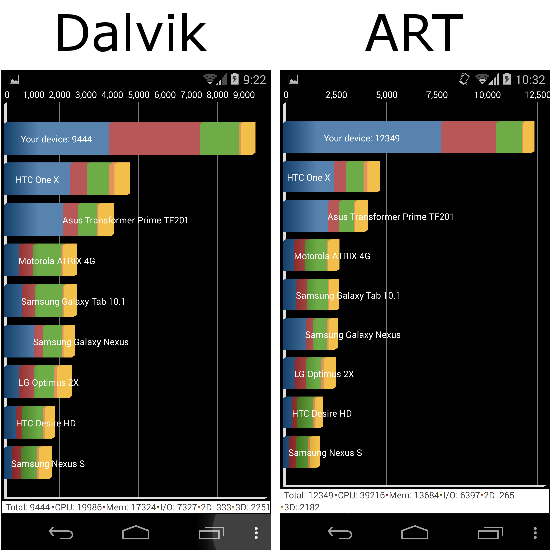 However, my SlingPlayer app wouldn’t connect to my Slingbox using ART, so I switched back upgraded to Dalvik. 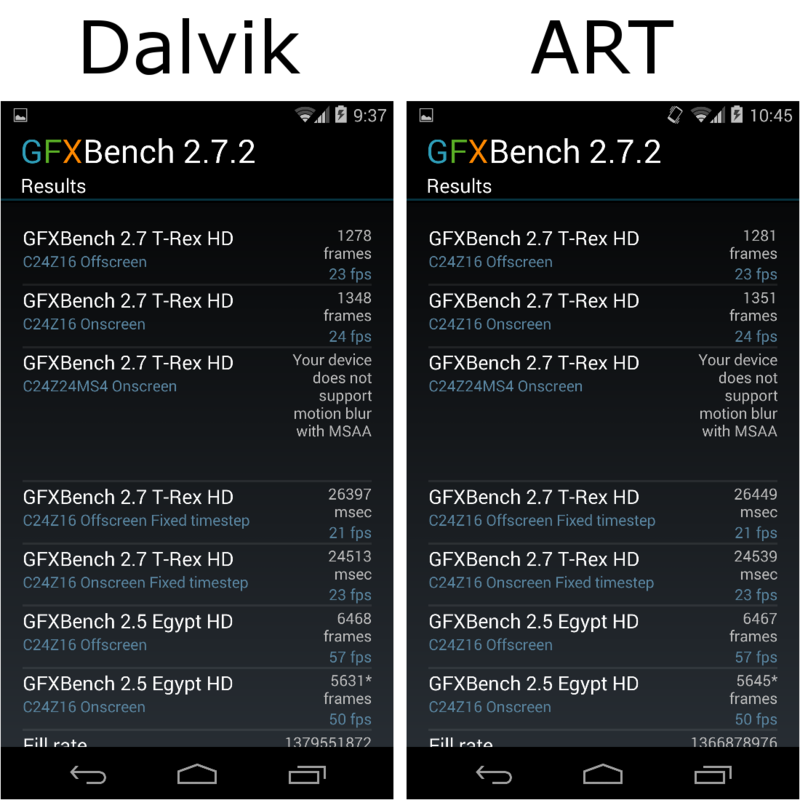 Which has the 20x speed-up? 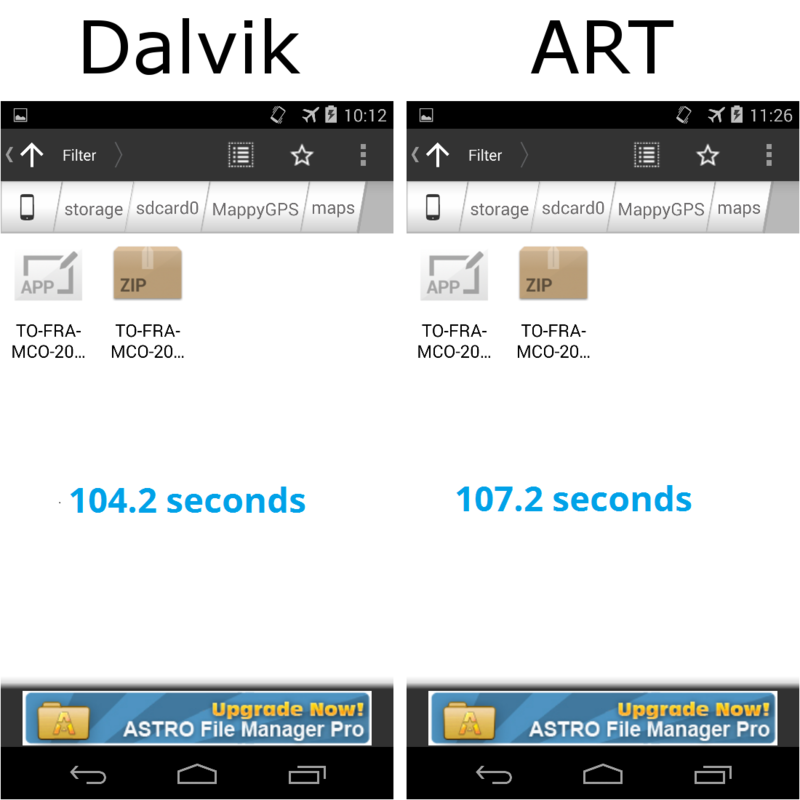 Neither of the runtimes is 20 times faster than the other. 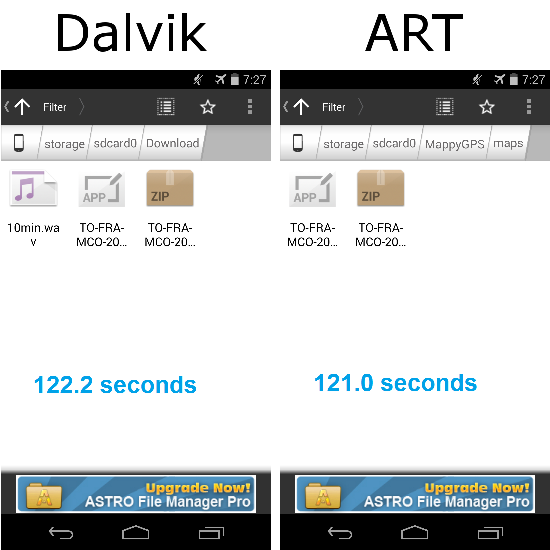 To keep the videos to a reasonable length, I sped up (fast forwarded) the upgrade part at 20 times the normal speed. If you look at my wristwatch in the second video, you’ll see what I mean. This entry was posted in Non classé and tagged Android, ART, Dalvik, how long, Kit Kat, Nexus 5, runtime, upgrade on 14 November 2013 by John Miller.